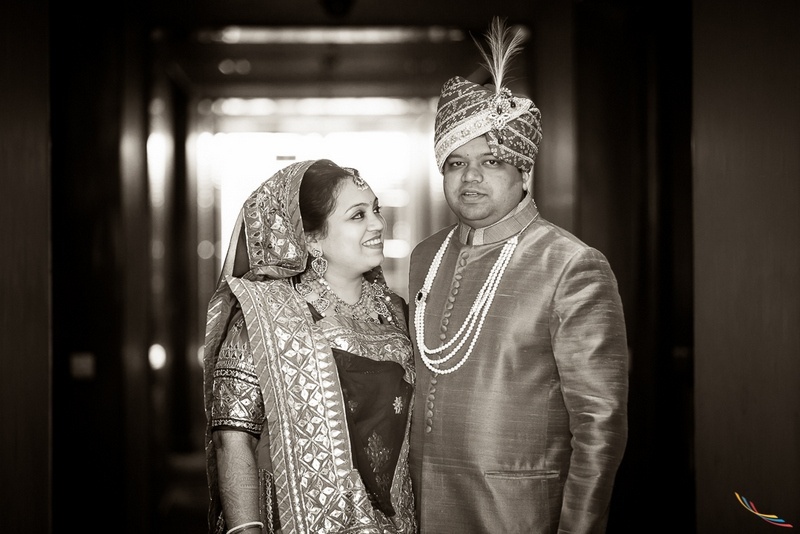 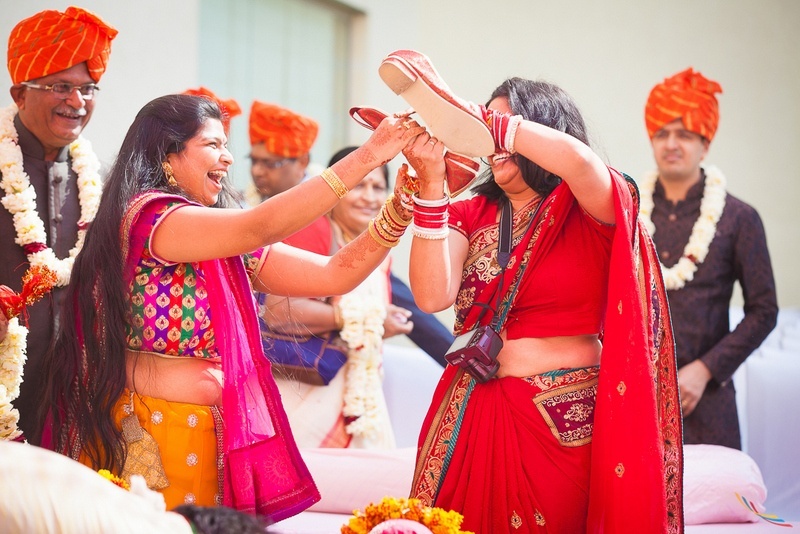 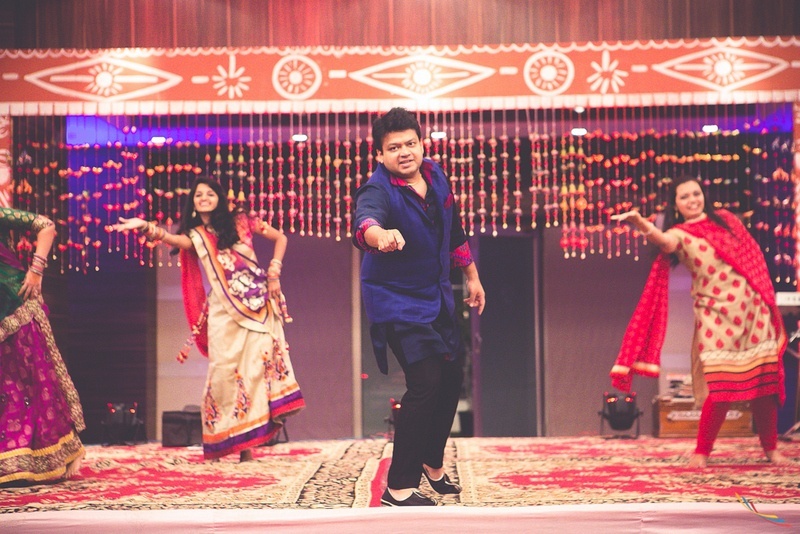 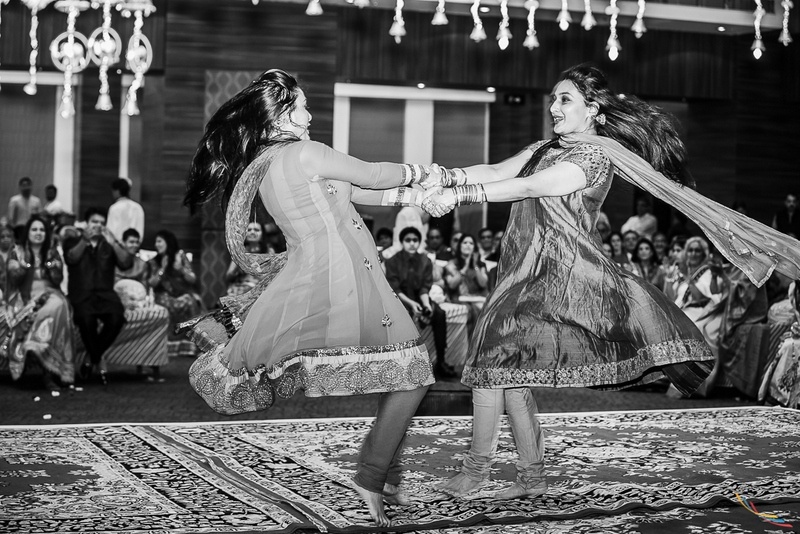 A gujju wedding held at The Marriott, Jaipur that happened true to its name, with full focus on the dancing, fun and outfits that left us stunned. 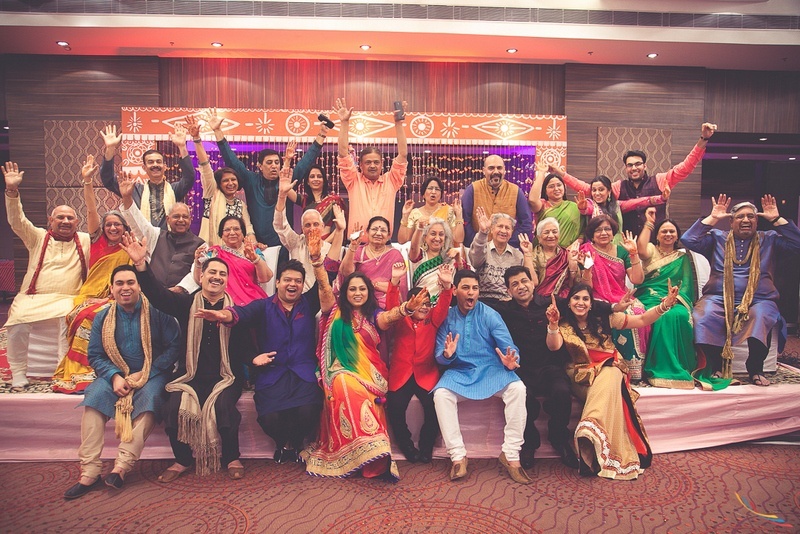 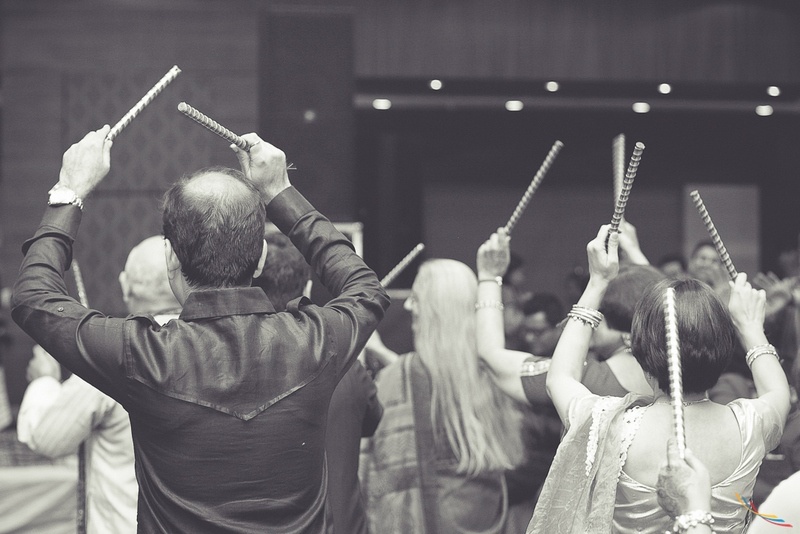 True desi madness reached new heights at the indoor sangeet where the bride and groom along with their closest friends and family danced like no one was watching. 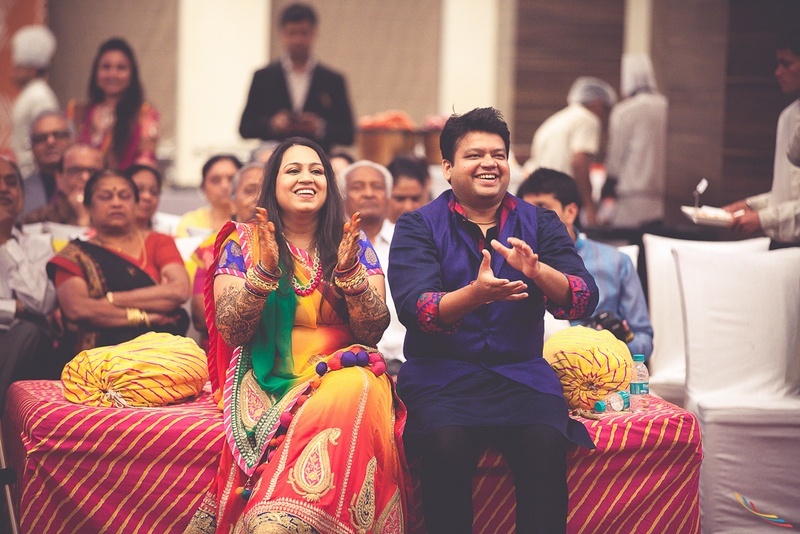 Mansi was dressed in an Amber ombre lehenga with green dupatta that had a pink bandhej border – a perfect Gujju touch to a contemporary outfit. 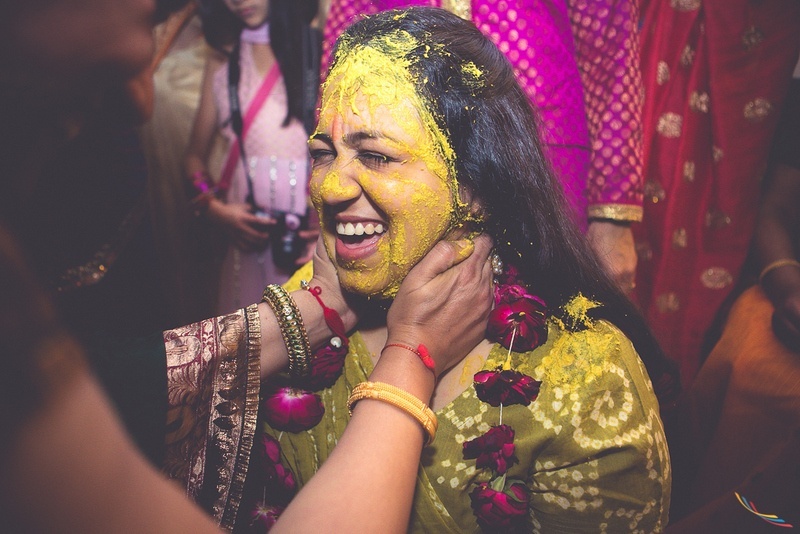 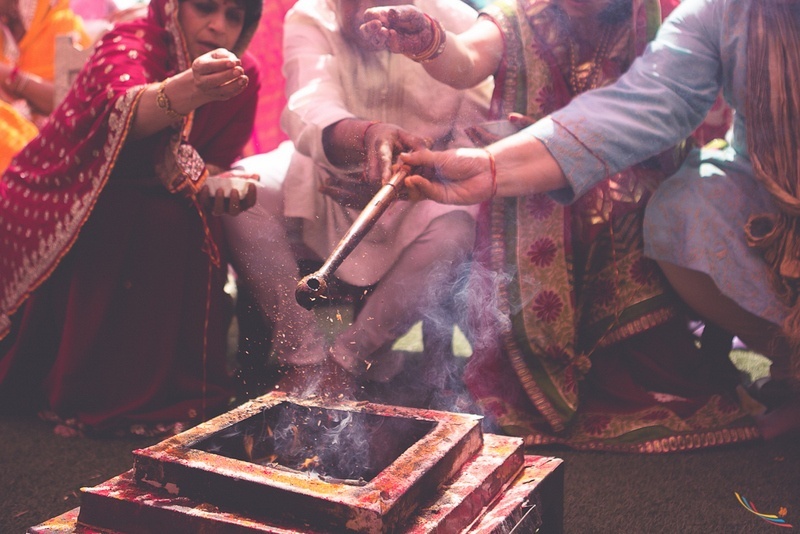 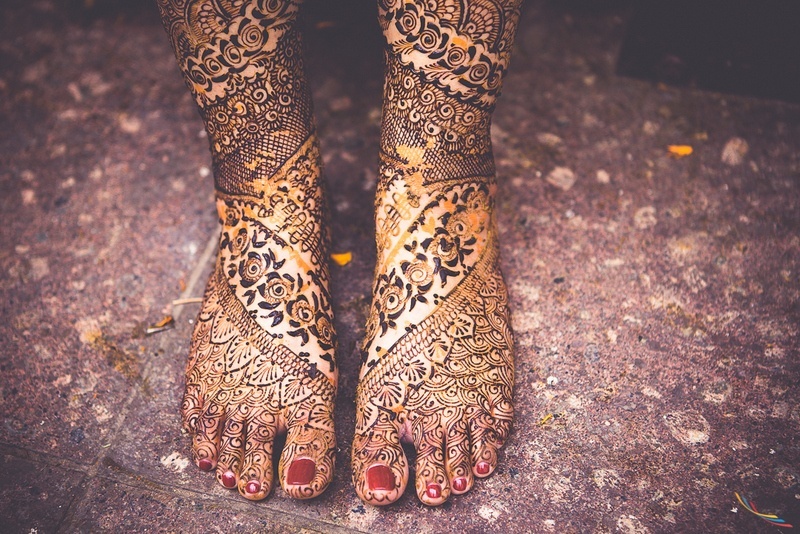 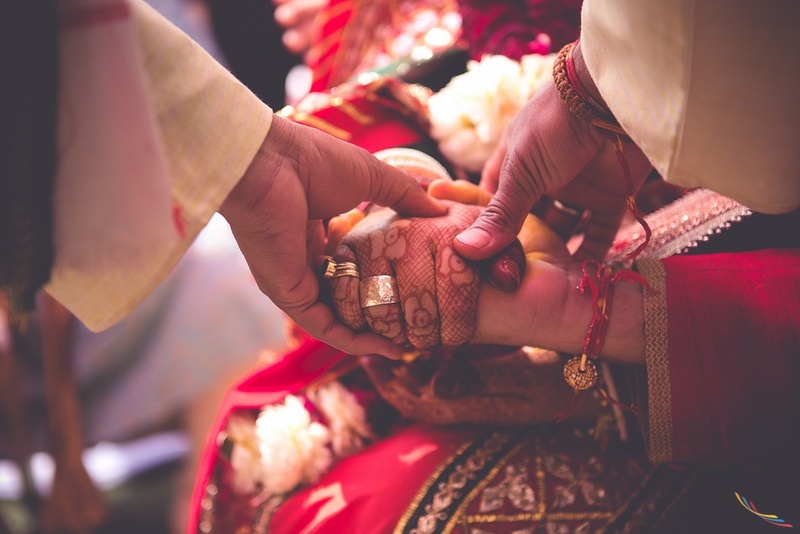 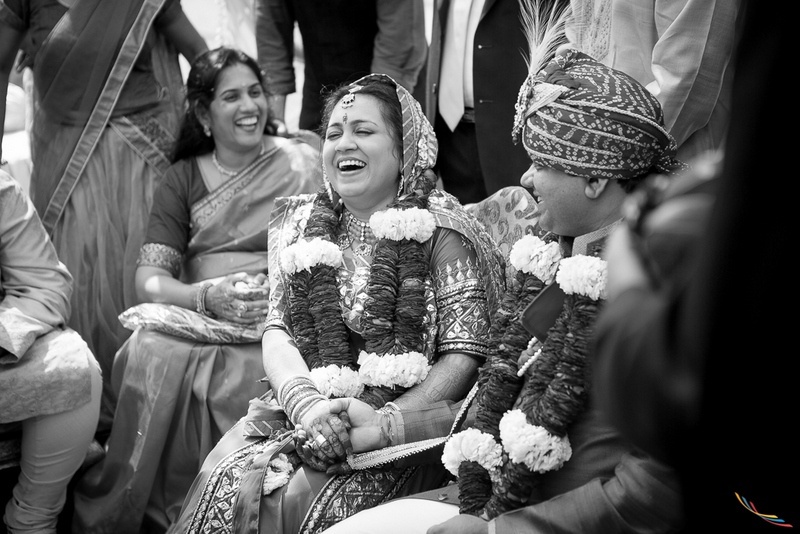 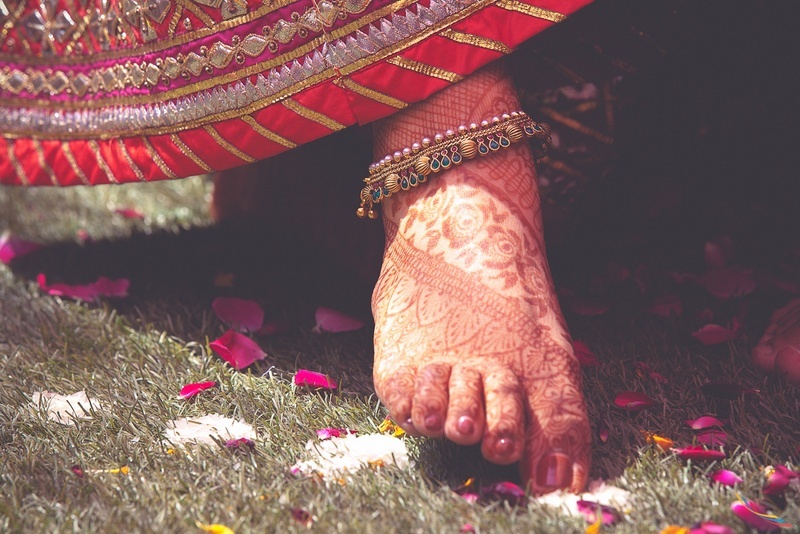 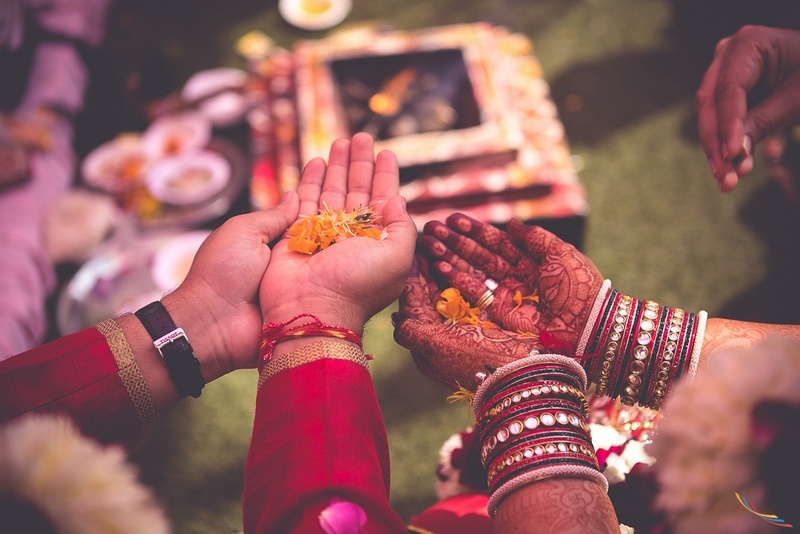 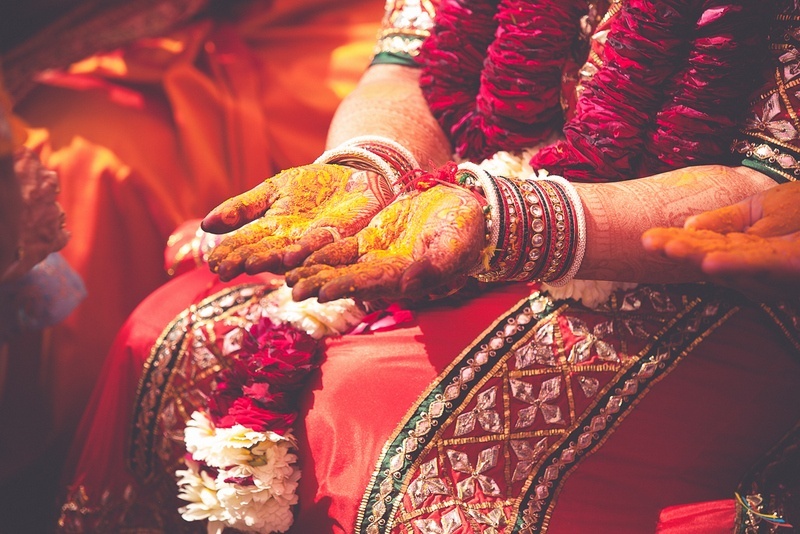 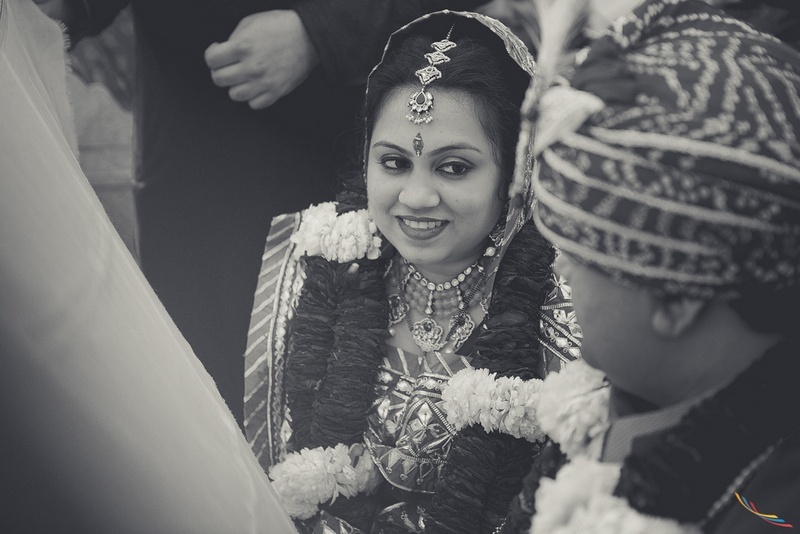 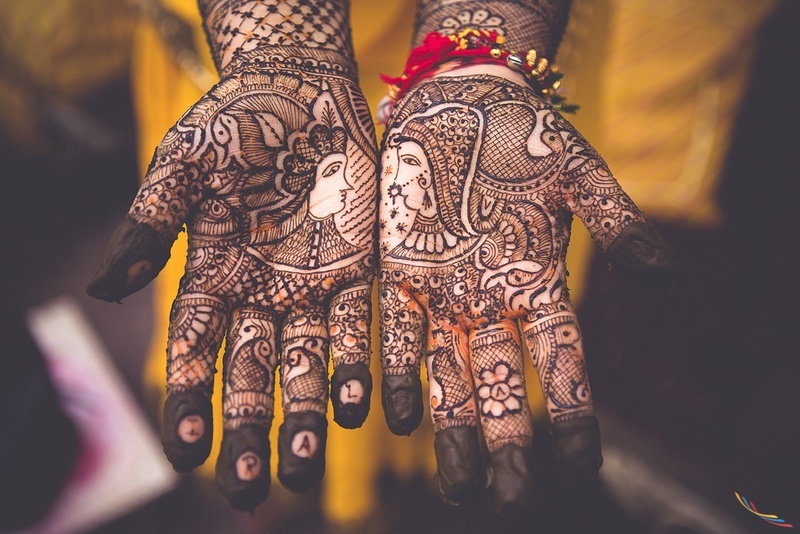 Being an NRI who’s hosting a wedding in India, she was very apprehensive about the planning and execution of the entire wedding ceremony. 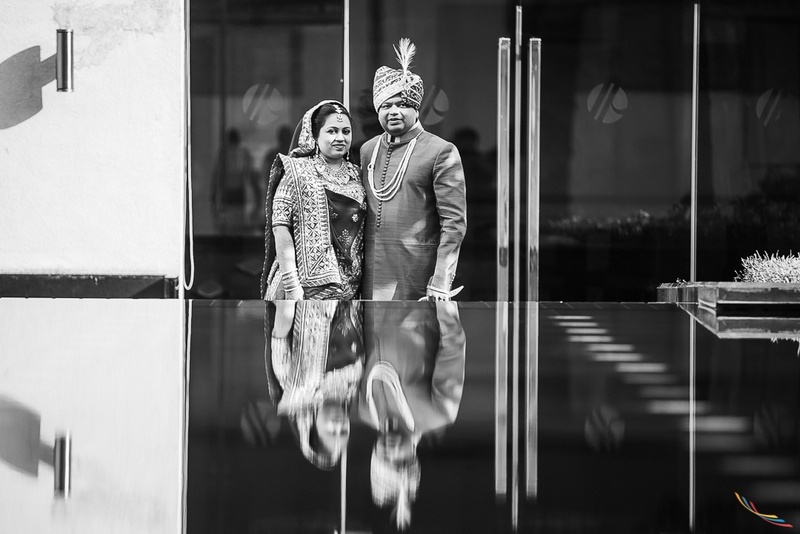 Sitting in Singapore, mansi along with the team at Enjay Events brought forth a wedding that was not only beautiful, but also budget friendly. 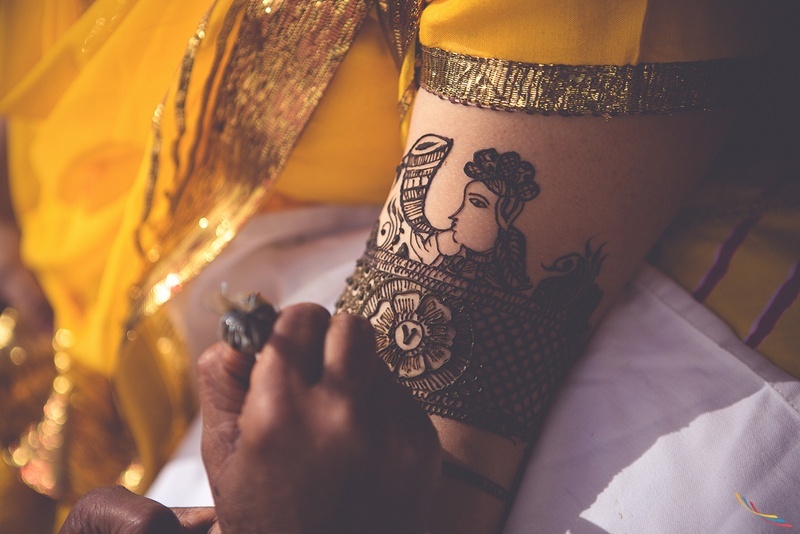 Their vision and execution of the Mehndi especially had us completely sold out for them. 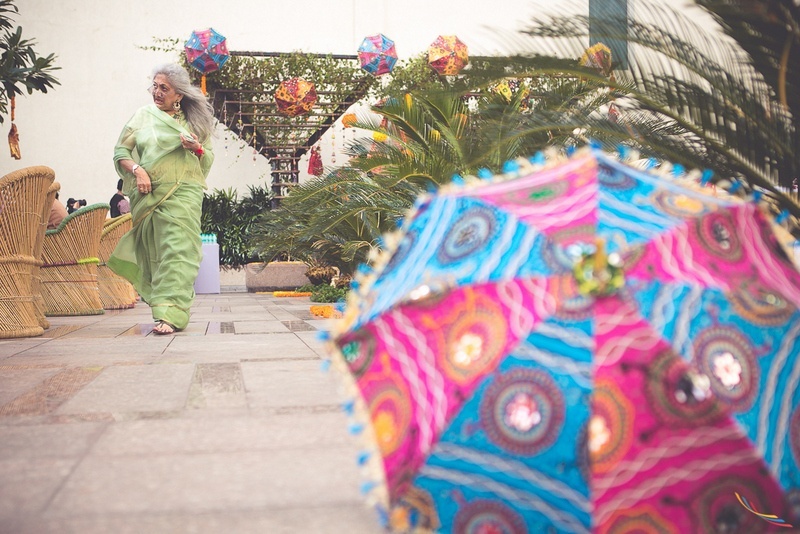 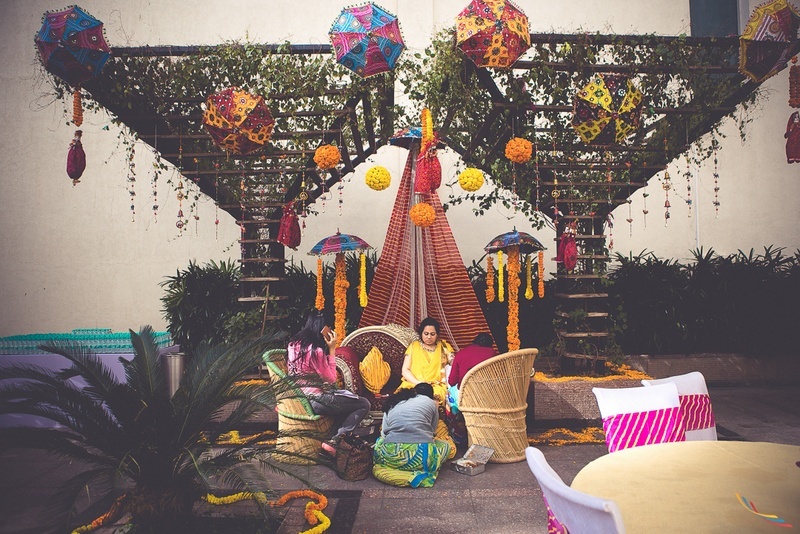 Set up in an open terrace space with abundant use of leheriya, marigold and ethnic Jaipuri umbrellas with other decorative hangings to lift the desi vibe of this intimate ceremony. 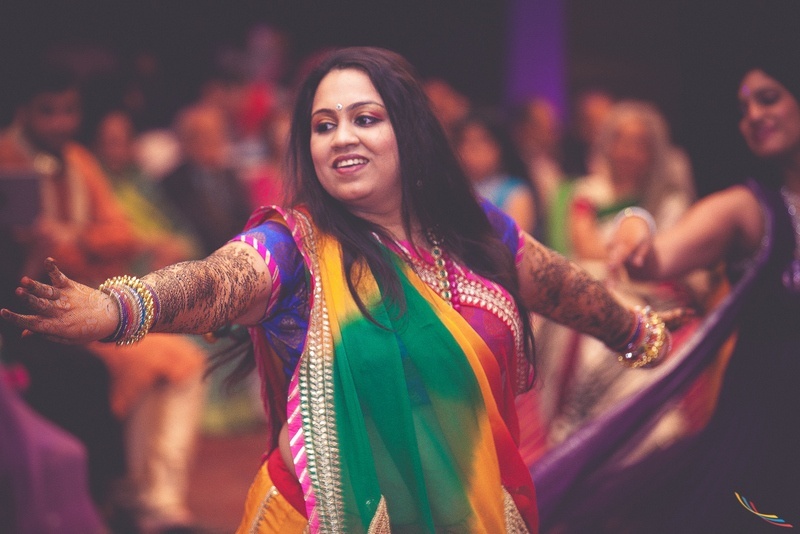 The talented team at Coloblast Photography shot the mehndi function in a vintage tone which added to the beauty of it all - while the other celebrations they captured with flawlessness and a keen eye for detail. 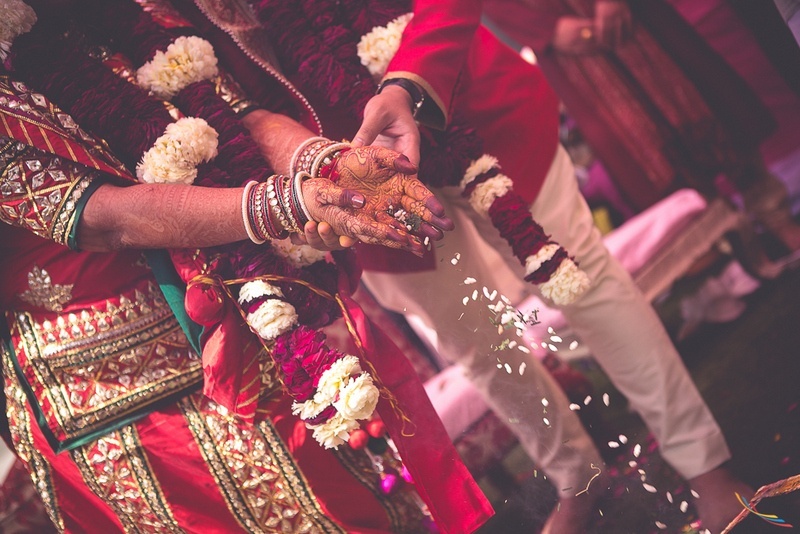 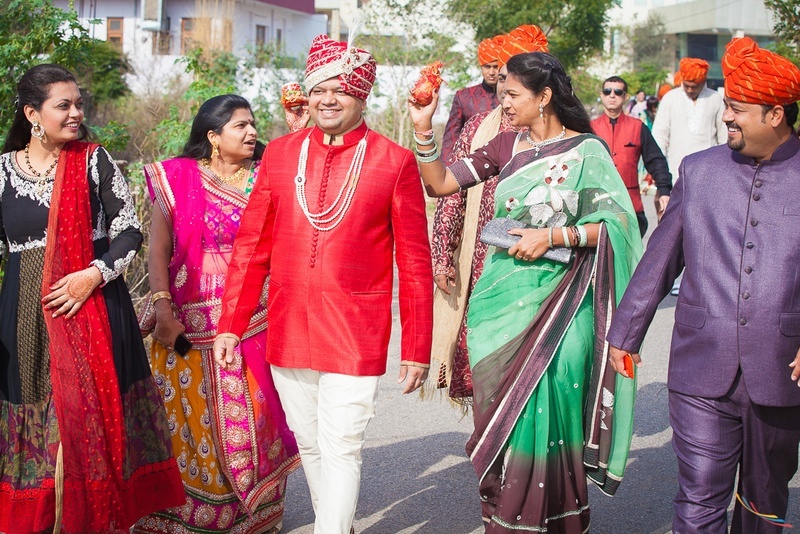 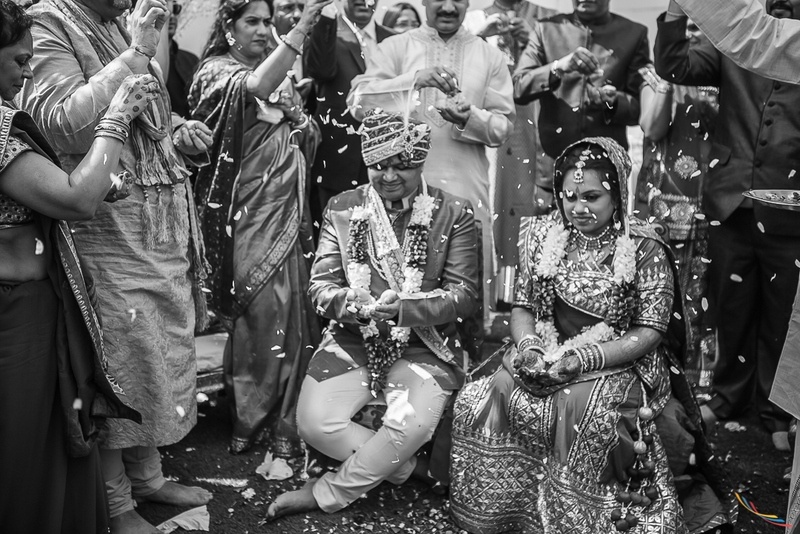 What to look out for as you scroll through the wedding – the gorgeous, intricate mehndi designs on the brides hands and feet, the big Indian family photo, and Viral's uber dapper, scarlet red achkan – we adore stylish groomswear like this one!